B. C. Sc., B. App. Sc. 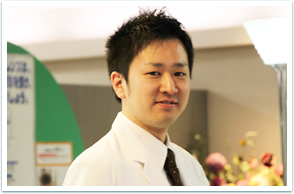 Our Staff doctor is an active member of JAC (Japanese Association of Chiropractors) which is officially certified by WFC (World Federation of Chiropractic), and graduates of Royal Melbourne Institute of Technology University, chiropractic Unit-Japan. Our doctor of chiropractic completed more than 4200 hours professional program which is recognized by World health organization. We serve you high quality chiropractic health care. In Japan, the number of Doctor of Chiropractic with professional degree and/or license is only about 700. Copyright © 2012 にしだカイロプラクティック All Rights Reserved.